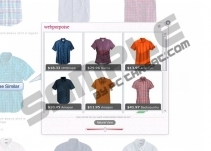 Webporpoise Deals may seem as if they have been created accordingly to your browsing activity. In fact, this application could connect to the Internet without your permission and then spy on you to discover what information you are interested in. This activity is quite disturbing; however, you agree with it by downloading the extension onto the browsers. Did you install it without realizing how it works, and now you want to remove Webporpoise Deals? Continue reading to find out how. Once installed, the suspicious advertisement-supported program presents webporpoiseads and ads by webporpoise. These may present surveys, prize giveaways, saving deals and random advertisements. In order to delete Webporpoise Deals, you need to get rid of the browser extension and eliminate any adware components which may support it. Adware Helpers and other disturbing advertisement supported software, which you should delete as well, could be installed onto the computer alongside the plugin if you have acquired it using the services of third-party distributors. Software bundling is the main distribution path for the suspicious Webporpoise. This is because the download link on webporpoise.biz is inactive and there is no other official source representing it. This is the case with other SuperWeb LLC applications, such as MarketResearchHelper or Gearscroll, as well. Unfortunately, software bundling is often used for the distribution of clandestine and malicious threats you should remove. Do you want to avoid the infiltration of malicious programs and the complicated removal procedures? Then you need to be careful when downloading software. As researchers have discovered, Webporpoise Deals is not the only feature related to the browser extension. The program can also affect Google search-result pages by attaching a suspicious search bar enabling redirecting to YouTube and other popular websites. Furthermore, the tool may show suggested search results powered by the TopicTorch engine. When you delete Webporpoise, the disturbing search engine modifications should be eliminated as well. Until then, you should be extremely careful about the links you click on and the pages they may route you to. Use the manual removal guides below to delete Webporpoise Deals from the browsers and immediately install a malware scanner to inspect the operating system. You have to remove any remaining threats, or they could jeopardize your virtual security soon enough. Use automatic malware removal software to delete remaining threats and keep this software updated to ensure that your operating system is shielded against malware at all times. Move to Uninstall a program and locate the undesirable one. Click Control Panel to open a new menu and click Uninstall a program. Now right-click and Uninstall the program you wish to delete. Quick & tested solution for Webporpoise Deals removal.